Based on recent season’s statistics, another 11 or 12 points could be enough to see the Team of Choice securing a top eight finish for the first time in their history. 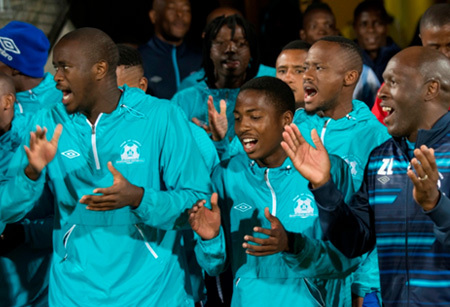 The average amount of points needed to qualify for the top eight over the last three seasons has been 41 points, which is also the same average taken over the last 10 Absa Premiership campaigns. Maritzburg are currently on 30 points, having played 23 of their 30 fixtures, and occupy eighth spot, above SuperSport United on goal difference. Based on past averages, that would leave Steve Komphela’s side needing to take around 11 points of the available 21 in their last seven matches. To achieve this however, United would need to up their points per game average slightly – to date they have taken on average 1.3 points per match, but would need to increase that rate slightly to 1.6 points per game to achieve what could be enough for a top eight.